By Blue Cube	on Thursday, 17th Jan 2019	in News. 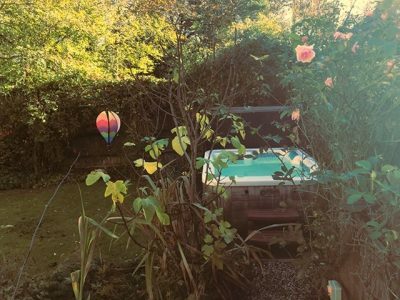 As hot tubs begin to dominate the garden accessory market in the U.K we began questioning how people incorporate their hot tub into their garden? Does it become a key focal point or is it an item which people like to hide away to create their very own hidden oasis. We contacted some of our customers to get a true point of view. Hot tubs can be quite expensive and therefore many people do not want to spend vast amounts on accessories. Below are 7 hot tub landscaping ideas which might help you choose how to incorporate your hot tub and landscape accordingly. First, we have a great example of how to create the ultimate relaxation area and your very own oasis. 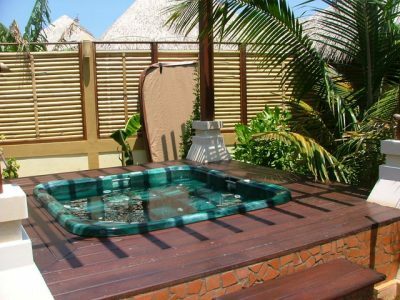 This hot tub is enclosed in a beautiful wooden gazebo which would provide you with privacy as you lounger around, they have then added some beautiful plants to create an exotic oasis, a place you could escape to and feel like you are a million miles. 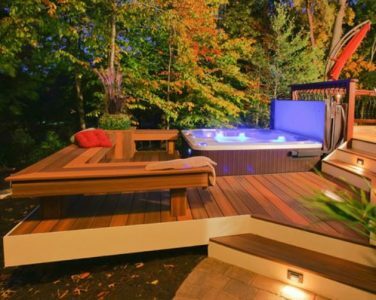 The lighting creates a warm and inviting atmosphere to finish off this beautiful hot tub set up. Why not keep it simple and British, surround yourself with beautiful flowers, glorious roses that fill the air with their perfume. Enjoy the privacy of high hedges and trees and enjoy the views of your garden. This simple yet elegant hot tub landscaping works wonderfully well in our customers quaint garden. Tucked away from the rest of the world, a place to relax and spend quality family time. 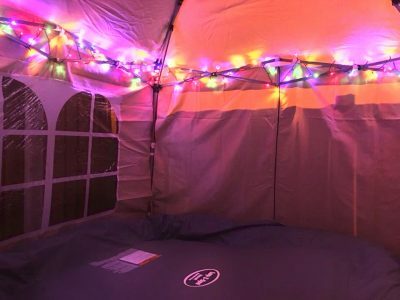 Next, we have a lazy spa dual inflatable, with limited space they have a created a great outdoor area that incorporates a lounge seating area which is perfect for social events. By using artificial grass, you can guarantee a great surface for the spa to stand on whilst ensuring lush green grass all year round, so even in the colder months you can relax in a secluded and cosy environment. 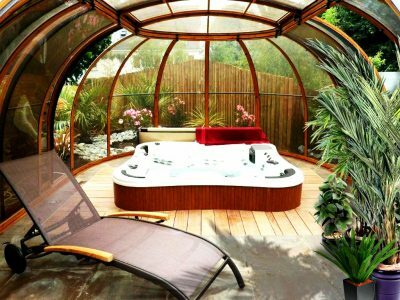 In order to take full advantage of your hot tub all year round, many people choose to buy a glass enclosure, they come in all sorts of shapes and sizes and often have roof openings so you can enjoy the good weather when you want. What we love about enclosures is the warmth and privacy it provides, helping you keep bills lower and providing you with an outdoor room, an opulent oasis away from your house. This would be a wonderful place to escape when you need a few moments of peace, simply close the doors and sit back and relax with your favourite book. You could add some sensual spa salts and truly unwind. 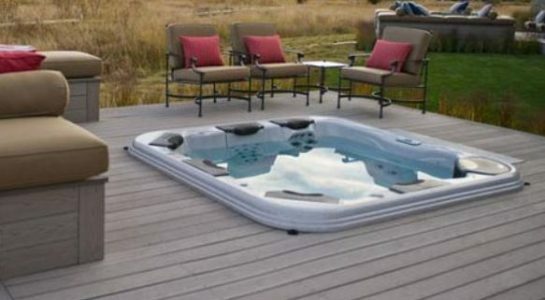 This is a simple yet perfect set up for those looking for a more permanent place for their inflatable hot tub. 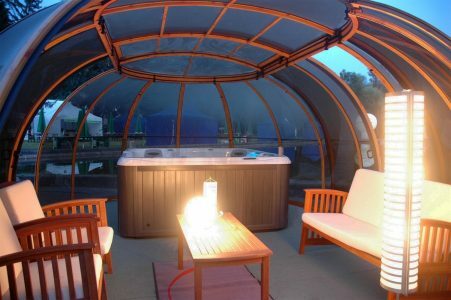 A canopy will protect your hot tub from the elements and help to keep the heat in. Once again it offers you privacy, so you can sit back and relax without your neighbours peering in. The lights make this a fun and exciting place to socialise with friends and family. 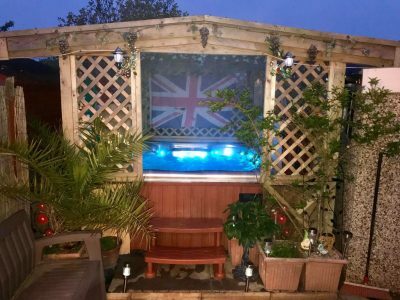 If you are not planning on using your hot tub all year round then you may not want a gazebo or any other covering, this customer chose to keep theirs above ground and uncovered so they could make the most of their beautiful garden and the sun. There is nothing better than relaxing in your hot tub on a cool summers eve whilst enjoying the stars. Below are some great examples from across the pond of how to style a semi-submerged or submerged hot tub. Decking is a great option (as long as you consider maintenance access), it provides a space for seats around your tub and is also great if you want to create a submerged hot tub appearance without placing it in the ground.